South Florida Bounce services Palm Beach and Broward County. All you have to do is give us a call or look up “bounce house rentals near me” on your smartphone. Since the inception of shows such as American Ninja Warrior and Wipeout, America’s been intrigued to watch people with agility and strength maneuver through the man-made obstacle courses. Before the Roman Empire introduced gladiators with swords that pounced on giant horses battling to the death in the Coliseum, we humans have enjoyed watching sports where people are severely defeated. Thank goodness today’s games have evolved and instead of jousting, we can be equally entertained by watching participants bouncing off an apparatus or climb a wall competing against the clock. Mountain in Ontario, Canada and have a limit as to how many athletes can compete. The other interesting thing about this race is the participants must show proof that they’re able to qualify for either short or standard distance racing. One sure thing that you can rely on is that renting a bounce house obstacle course is more practical and a lot more fun than having to train and qualify just to have some action and momentum. Looking for bounce house rentals for boys or girls birthday party? Call now and one of our courteous staff will assist you. The obstacle course inflatables offer a lot of activity and don’t require people crashing through swamps, or crawling through miles of dirt to be enjoyable. The K2 Cliffhanger has a 33-foot Rock Climbing wall and slide that takes you into its own bounce house, giving you and your guests yards of fun and enjoyment. This obstacle course is 100 feet long making this one of the longest obstacle course in South Florida. We A Warrior Dash comes in a quick second in length at 70 feet long the guests have plenty of room to bounce around and race to the finish line. Many of the people that rent this inflatable organize teams and make racing through this attraction a group activity. The Typhoon has a few different configurations and is by far one of the most versatile obstacle course in Palm Beach County. This 3-piece unit is very impressive and will attract a crowd. The course itself offers slopes, a maze of detours, and slides for an incredible attraction for your guests. Whether you select our K2 or Wipeout, your attendee’s and the spectators will have a blast competing or just bouncing around. Remember, there are size requirements for space to set up the inflatables so it’s good to call ahead of time. 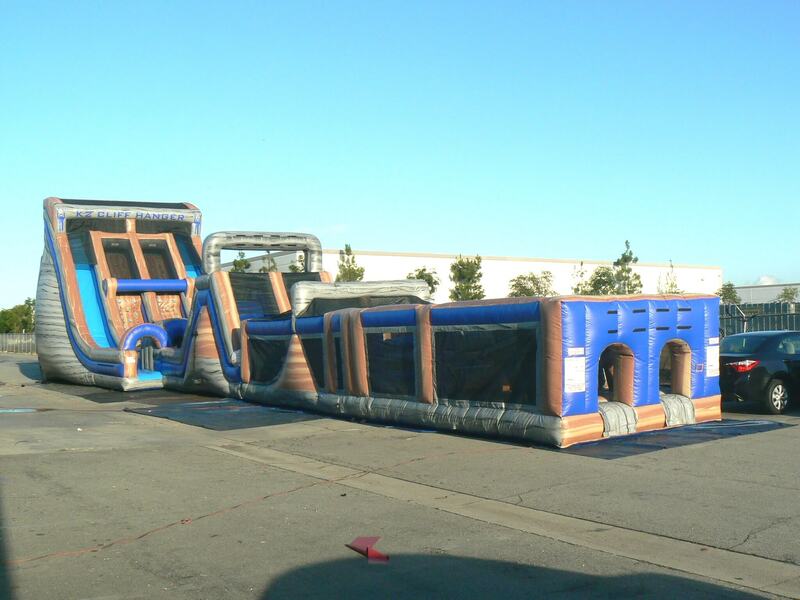 For more information on our Obstacle Courses and selecting the right one for your event contact South Florida Bounce. 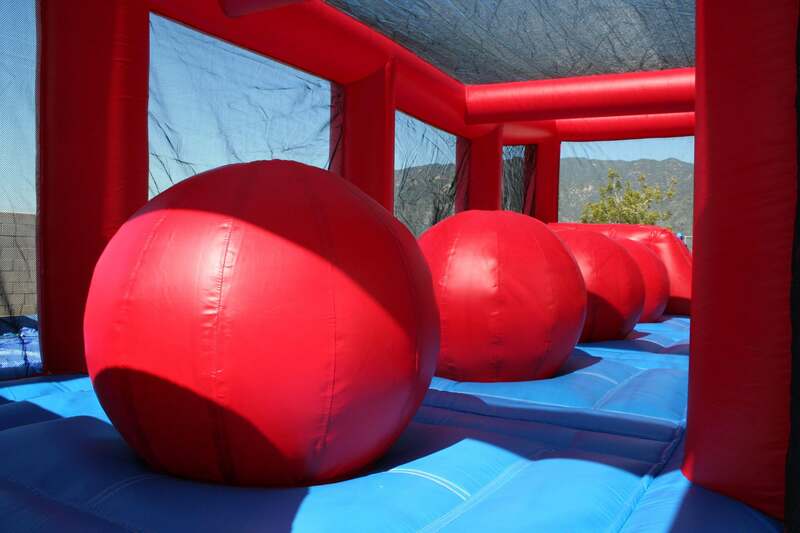 Tags: bounce house for rent palm springs, cheap bounces houses for rent haverhill, check out sunday bounce house rentals palm springs.